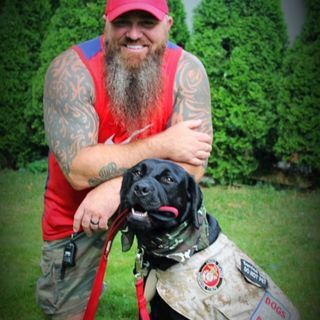 Veteran Chris Miller Talks About His Service Dog "Zulu" From "Dogs For Our Brave"...Happy Feels Here! “Dogs For Our Brave” is a non-profit that adopts dogs and trains them to be service dogs for our Veterans. I spoke with Chris Miller about his dog Zulu and the stories he tells about her will give you goosebumps and lots of happy feels!